World famous Chester Zoo, with over 15,000 animals, set in 125 acres of gardens enjoy visits from 1.9 million people every year. Many of these have a peek at the Black Rhino enclosure whilst waiting to get into the zoo and gardens. This has been distracting the Black Rhinos and can cause them distress so the zoo wanted to visually cover the enclosure from the public at the perimeter of the zoo. They turned to leading landscape supplier, Green-tech for a solution. 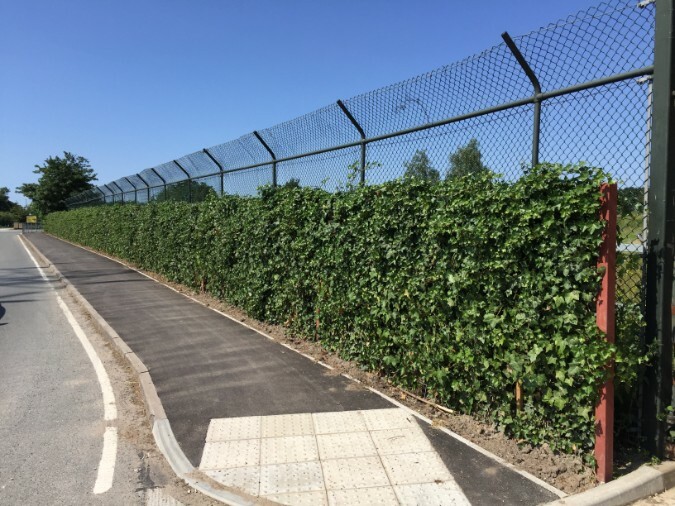 We supplied 50 gt Green Screens which have been installed around 60 metres of the Black Rhino enclosure to give them some privacy whilst being pleasing to the eye, the gt Green Screens create an instant, established ‘hedge’ in keeping with the existing surroundings. Simple to install yet instantly effective the 1.2 long by 1.8m high Ivy gt Green Screens took only days to install. This latest greening solution from Green-tech provides much needed ‘green’ coverage, offers quick establishment and the versatility for inclusion in a number of different applications. Each gt Green Screen contains eight pots holding Hedera ivy plants. The plants are grown independently of the screen and woven up through the metal grid in order to achieve full foliage coverage once grown. Hedera is a particularly reliable climber and is known to be especially frost resistant. It is ideal to act as an outdoor privacy screen to hide unsightly areas, as security fencing, balcony screens or to break up and add interest to an outside space. 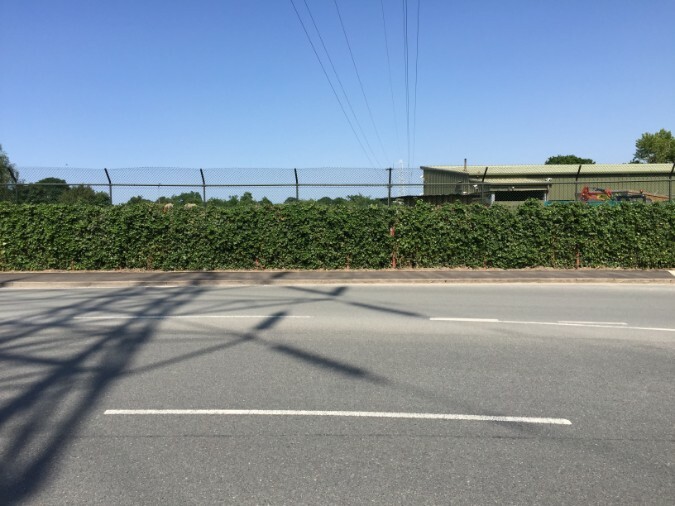 Biodiversity can be added to the gt green screens with the addition of climbers, to give more impact and colour and attract wildlife. Stuart Ball from Green-tech revisited the site and said, “We are delighted with how the gt Green Screens look. They offer an ecology-friendly solution and blend in so well with the surrounding environment.